There is another thread (https://forum.curvyeditor.com/thread-167...ght=jitter) which stated this issue, i have attempted the solution in that thread to no success. On the editor its completly smooth, however on device there is jittering/stuttering/flickering when my object is moving along the spline. I've turned off all scripts that could affect movement in order to rule out possible causes which means the only remaining scripts running that could cause this issue is the CurvySpline.cs, and SplineController.cs. Your controller is set to be updated in Fixed Update, this might be the problem. 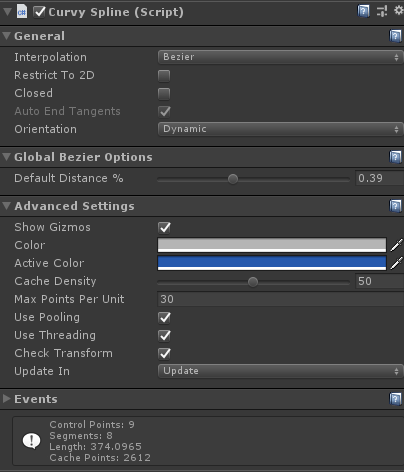 If your fixed (physics) update rate is 50 FPS, and your (rendering) update rate is 60FPS, then each second you will have 10 frames where the controller will not move compared to the previous frame, which will lead to the feeling of jittering. Try making the controller update in Update instead of Fixed Update, and let me know if this fixed the issue. Thanks for getting back to me, unfortunately that hasn't solved the problem. I've also tried using the Cache, Changing Position and Move Mode, Changing Cache Density and Max Points Per Unit. When the object is moving without the use of a spline (i.e. 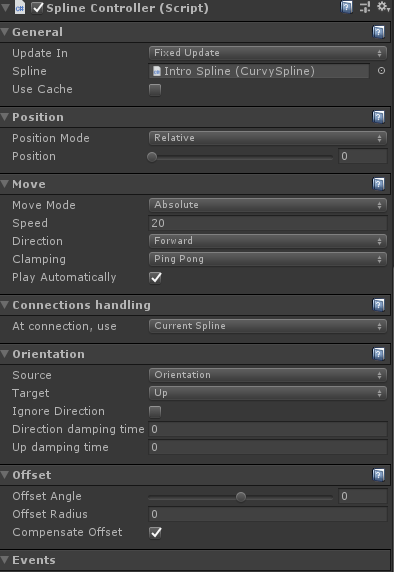 character controller it moves smoothly) for the record i've tested the spline with only those two scripts listed below affecting the movement of the object, so there are no conflicts. I can't see anything wrong from what you explained. I will need more data to diagnosis the problem. Can you please send me the minimalist project with the issue, and a video capture of the result on android (and on desktop too if possible)? I've just emailed you a video, creating a small version of the project will take some time so i'll send it if you think its necessary after seeing the video.